Charles D. Jacobs Elementary School (1932) - Louisville, Ky. 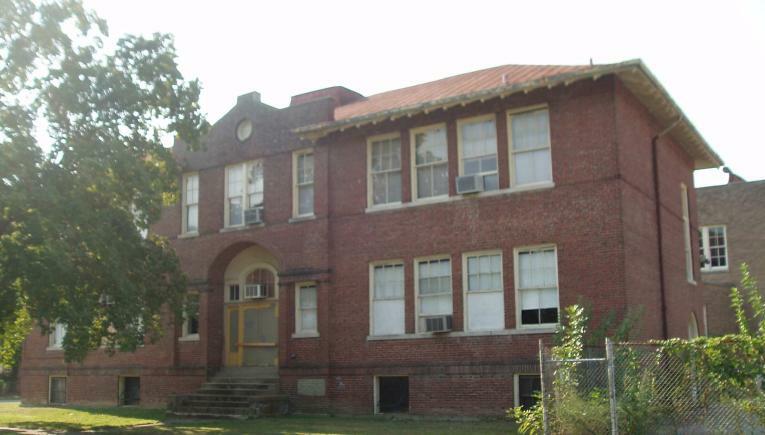 Earlier this year, the Department of the Interior approved the application of the Charles D. Jacob Elementary School for inclusion on the National Register of Historic Places. Located at 3670 Wheeler Avenue in Louisville's south end, the two structure elementary school has seen little exterior change since the 1930s. The first building was constructed one hundred years ago, in 1912. The two-story structure features both craftsman and colonial revival elements and is a fraction of the size of the much larger 1932 addition which is connected to the original school by a breezeway. This larger structure was described upon its opening by the Courier Journal as "a buff brick building of modern architecture" which today exemplifies the traditional architectural style of educational buildings of the era, i.e., art deco/moderne. Charles D. Jacobs Elementary School (1912) - Louisville, Ky. The land on which the school sits was formerly owned by Charles Donald Jacob, for whom the school and its neighborhood are named. The 1912 structure was a seven-room schoolhouse originally known as Jacob's Addition Community School until 1922 when the neighborhood was annexed by Louisville and the school by Louisville City Schools. 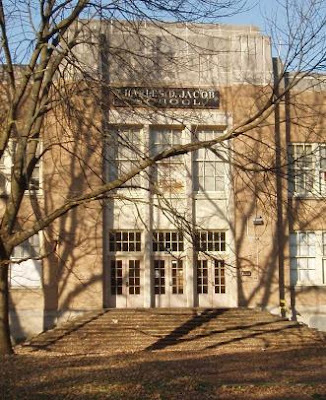 The name of the school was changed to Charles D. Jacob Elementary when the addition was added in 1932. Charles D. Jacob was a four-term mayor of Louisville being first elected in 1872. Jacob's father was the president of the Bank of Kentucky and thus Jacob was raised in a family of wealth. An elegant man, he always wore a yellow rose and sought to beautify and improve Louisville. To these ends, he is considered the father of Louisville's parks. Iroquois Park was originally named Jacob's Park after the mayor who envisioned the city's great parks. Jacob's administration oversaw the construction of the city's first Home for the Aged and Infirm, the installation of the city's first granite and asphalt streets, and the conversion of street lighting from gas to electricity. At the school's 1932 dedication, a school board member said of Mayor Jacob: "I don’t think that the history of Louisville will show the name of a man who gave more service more unselfishly that that of Mr. Jacob." For more on the unique architectural combination found at the Charles D. Jacob Elementary School, be sure to read the National Register application file. Source: NRHP Application File, courtesy Ky. Heritage Council.